I took a look inside the Alutecnos gorilla 12c and Thought I would share my opinions of the reel... The reel has not been tested on fish yet. This is simply a guide to a preservice and a look at the internals. here you can see the alignement of the handle which attaches to the main gear, you have to use the end screw on the handle side and screw it inside the main gear sleve and then tap it with a semi hard object. I used the plastic handle of a wrench) The main gear will then have to be carefully pulled out of the anti reverse bearing. This way you can access the AR bearing and the right side plate bearing. 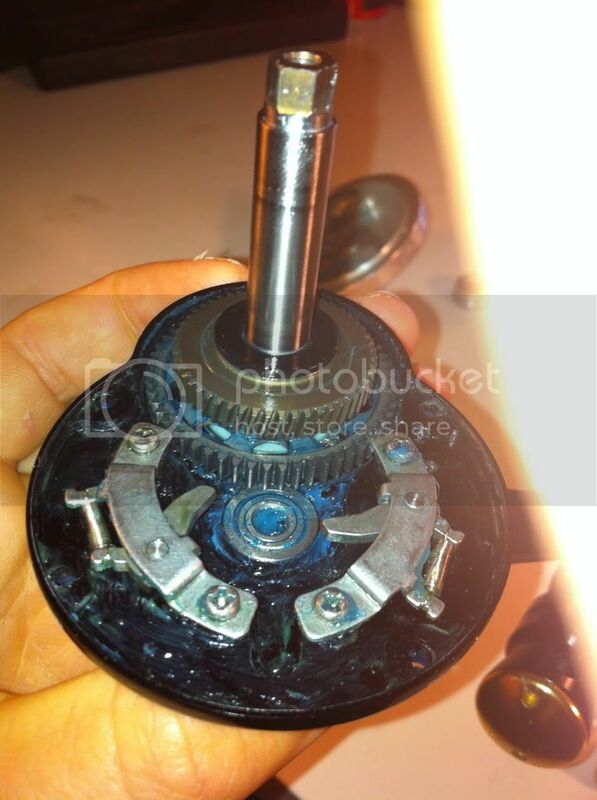 Now the shields cannot be replaced so the bearing has to be left open for now. 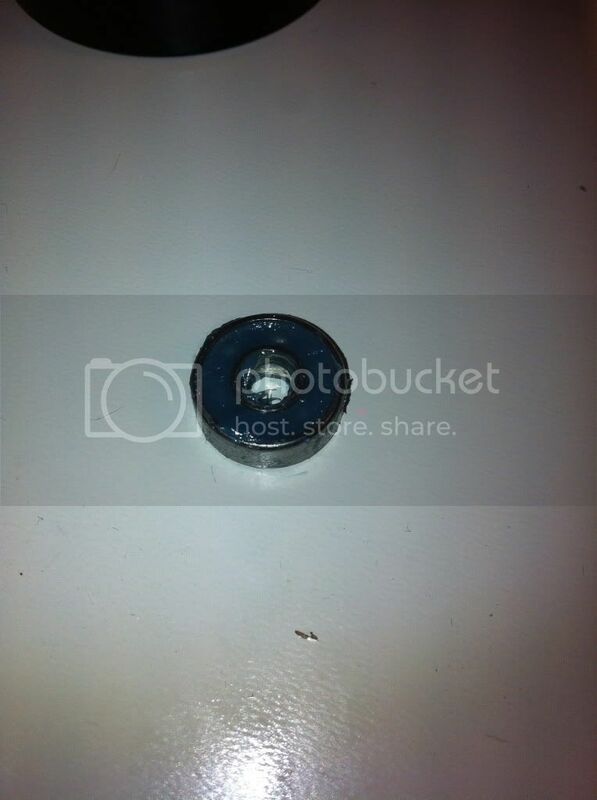 I actually found a shield and a retainer from another bearing which I used to hold the grease inside the bearing. 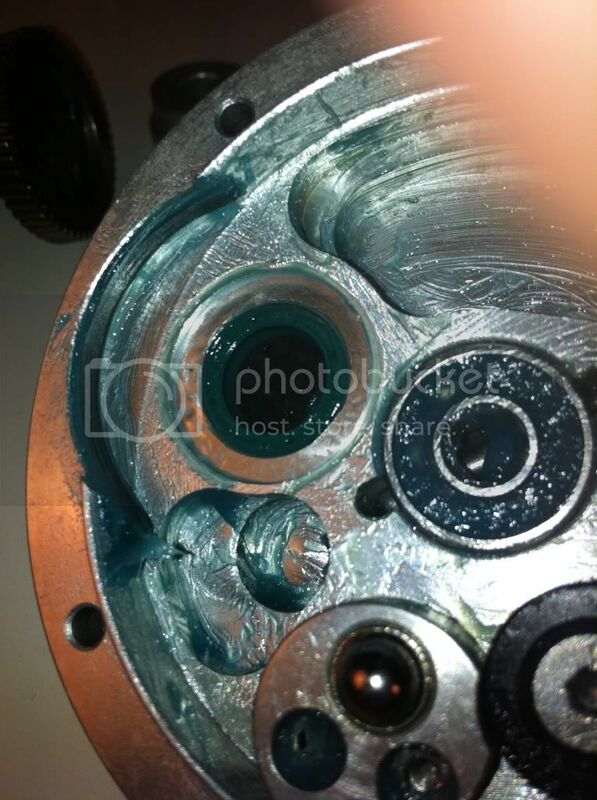 I faced the shielded side of the bearing towards the inside of the drag cam. Now I tried to get a good picture of the AR bearing but the hole is so tiny so this was the best I could do. 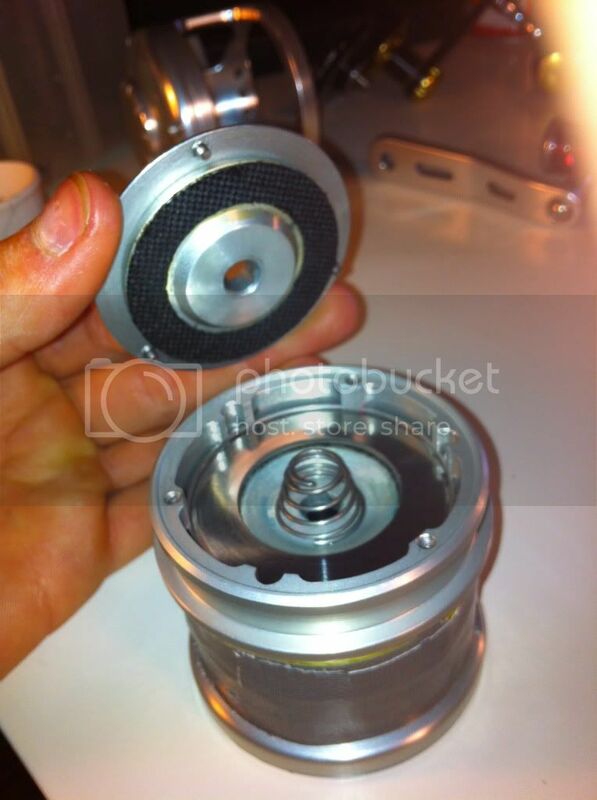 The reel has actually three individual Ar bearings alligned inside the housing. 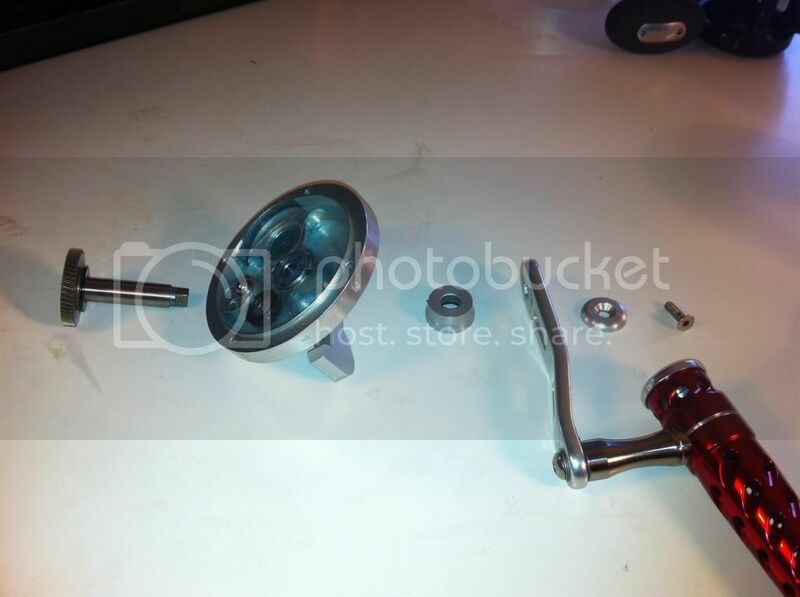 Flush this with carb cleaner and let it dry, then add some thin synthetic oil. I used some shimano oil, but you can use reelX too. If you use grease here the AR might slip, so no grease! 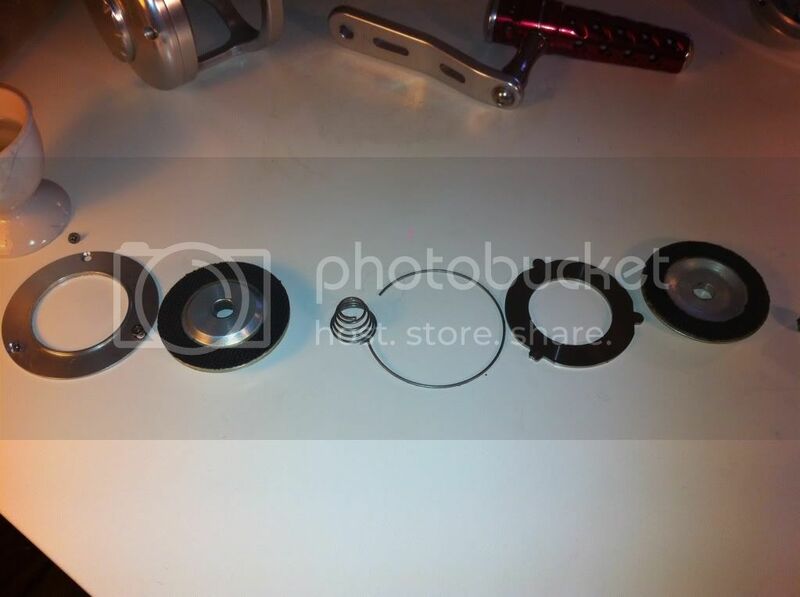 Here you can see the clicker bracket on the right side of the spool. 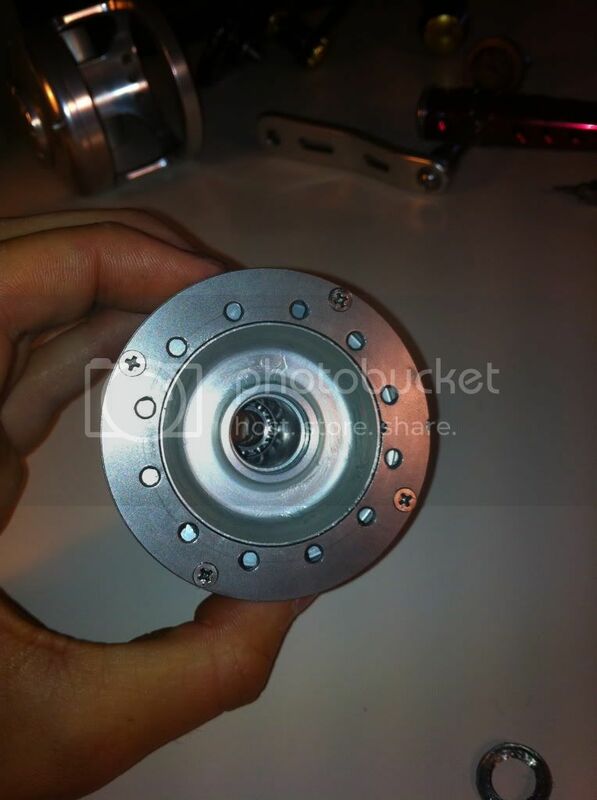 On to the left side of the spool is a machined housing which holds the whole drag assembly and works as a shield. This is not watertight though... The drags are enclosed by three screws. The drags are glued on carbon fibre. The drags are bone dry. I will apply drag grease on on the washers. here is how it it should look onced placed on the square cut side of the spool pinion. on to the left side plate do as you did with the right. remove shields, clean and relube with yamaha marine grease. This would have to be open, without any shields. 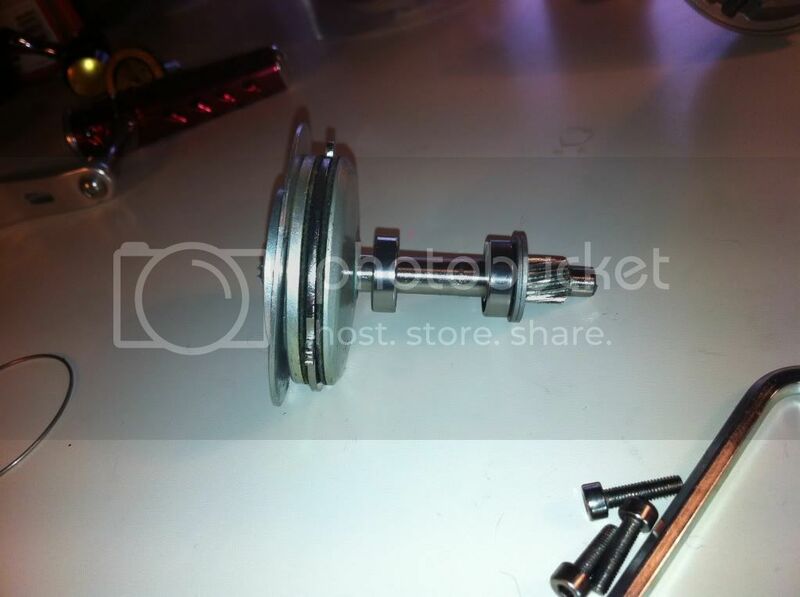 The bearing can only be removed from the inside, so you cannot just remove the preset and take the bearing out. bearing size is still. ID 8mm, OD: 16mm and Height: 5mm. 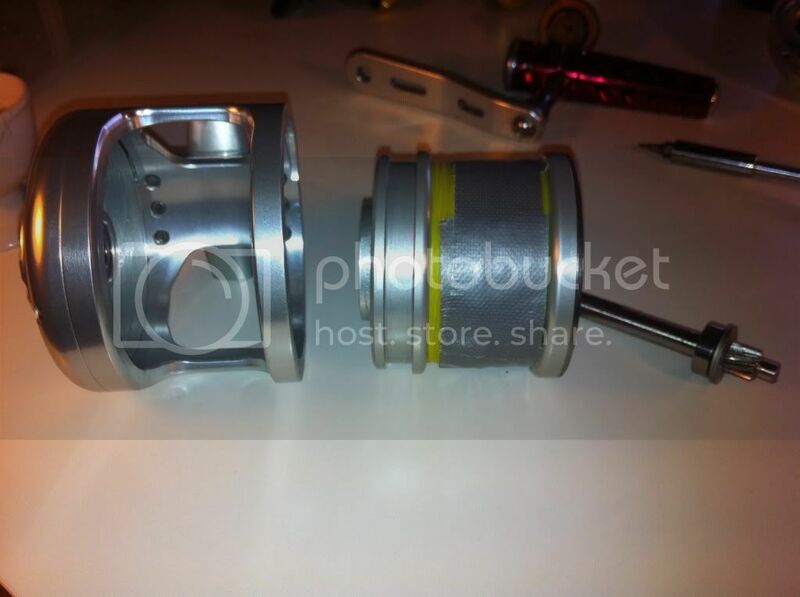 clicker: clicker is solid as described and is much more durable than the plastic clicker used in other reels. main gear: shows no sign of wear after winding and is made of stainless steel. The main gear is pretty small, like most penn reels. pinion gear: is also stainless steel, show no sign of wear and meshes very good and tight with the main gear. The pinion gear is cut slightly sideways. The anti reverse is supported by three AR bearings. Accurate reels only have one and has had problems with that. Three ar bearings should be safe but I am disappointed that they didn't put a reserve dog in the reel for extra safety. The AR bearings can fail and is fragile against dirt etc. Also in colder weather the anti reverse can slip due to metal shrinking in cold weather. Drags: The drag is very impressive and is a dual drag. The drag has pretty much the same setup as the avet raptors but placed on the left side instead of the right like the raptors. This keeps the drag away from the main gear and makes the reel more balanced due to the weight. The preset and Lever drag: is super smooth. The preset is the easiest I have ever used and is far superior to most high end reels out there. Very easy to turn and very gradual. As for the lever drag this is also very smooth and gives easy leverage. 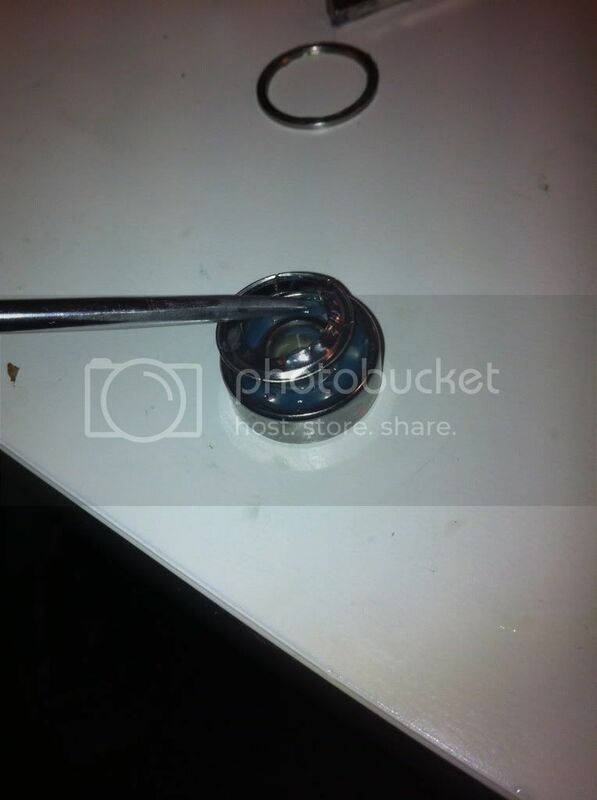 There is a stainless steel pin which pops down once you are out of freespool. The red button pushes the steel pin uses to get into the "max drag" and into the "free position". The handle: is bad IMO with the round ball knob. too big and to narrow. The t bar from alutecnos is much better I've heard. The handle arm is 8,5 cm which is fair... could be a tiny bit longer, but still gives a lot of cranking power. main body: is as tall as it is wide measuring 7,5 cm. Spool bearings are cleaned and dipped in tsi301, let them dry! drags: are cleaned for old debrees and(use a soft rag) then add a thin film of DRAG GREASE (shimano drag grease, fisherman drag grease, MO drag grease grease(daiwa) Cals drag grease or the studio ocean mark drag grease) you should use the hard type as long as you don't fish in cold weather then you go for the soft or thin type. Studio ocean mark, fisherman and cals have these options. Leave a thin layer on the CF drag washers and carefully wipe off all excess. otherwise the grease might stick and effect you freespool. Now for the real test I have to fish it! Nice. I really like the lighting effects in the background. Really adds to the beauty effects of that awesome looking reel. 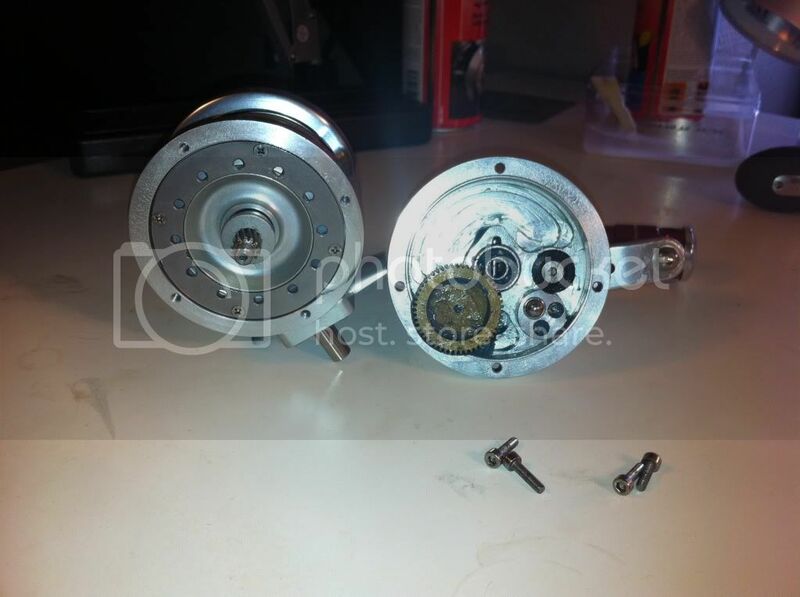 Reels with that type of drag configuration could easily get 20# of drag without any damage to the pinion bearing. How much drag are you getting with that reel? thank you Bryan! The drag is rated to 40 pounds with freespool. So as you say I think you will be safe with 20+ pounds of drag. How come the design allows more drag than other designs? since the drag preset is on oposite side?... wont there be the same side load to the bearing(s)? you get twice as much stopping resistance since you have 2 drag surfaces stopping the spool with the same amount of force. it's not one to two, but more like 1 to 1.5-1.75 before you run into the same pinion bearing damage as with a single surface drag system. ofcourse! thank you for the explanation. btw. any idea how to measure the ID of the spool for a sleeve? Great work Thor - and cracker pics too. 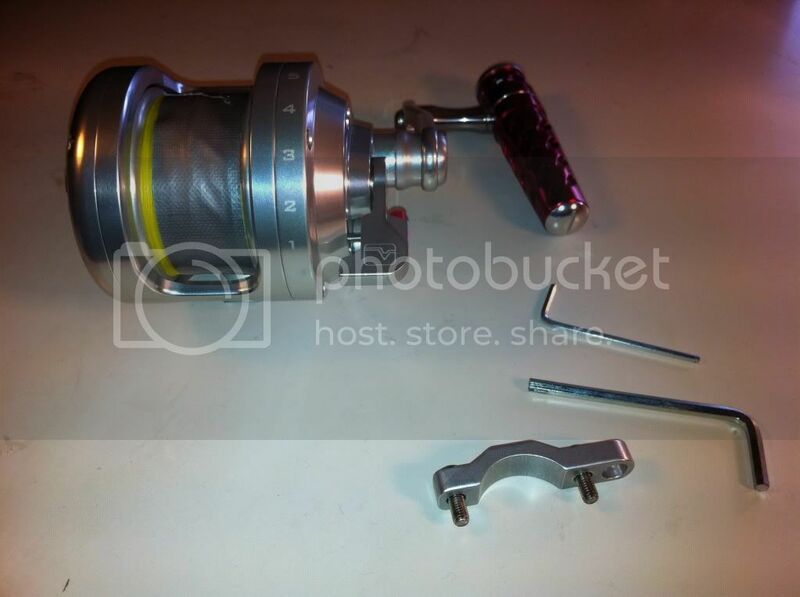 It's an awesome little reel and really nicely designed. It would be nice with those JM dogs. A question! 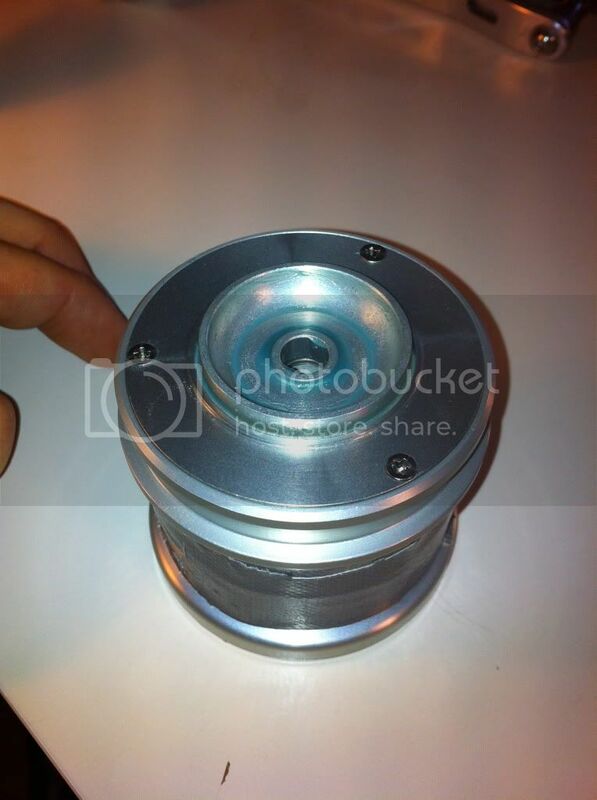 I want to put in a sleeve for the spool bearings... how do I measure it and get it right? you have to guess, and make your first guess a little long. then you have to shave it down a few thousanths of an inch at a time and try it in the spool. you may have to repeat this process 20 times before you get it right. you can also easily overshoot and have to do it all over again. it can be very frustrating, which is why most people will not bother. when you get it right, the results can be spectacular! thank you for your explanation Alan, so where do you find your sleeves? hardware store? how do you know when it is just right? 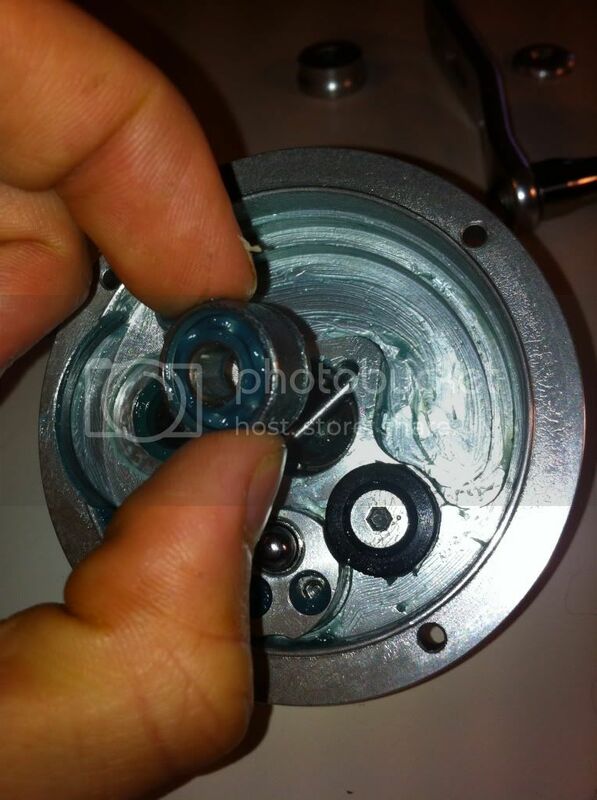 Alan gives a good explanation for cutting a bearing sleeve in this tutorial which may help. are those dogs? am asking because i don't see those 2 parts in the schematics, thanks. yes, but it is not the alutecnos reel. It is a size comparrison with the jigging master pe4 reel and gear.